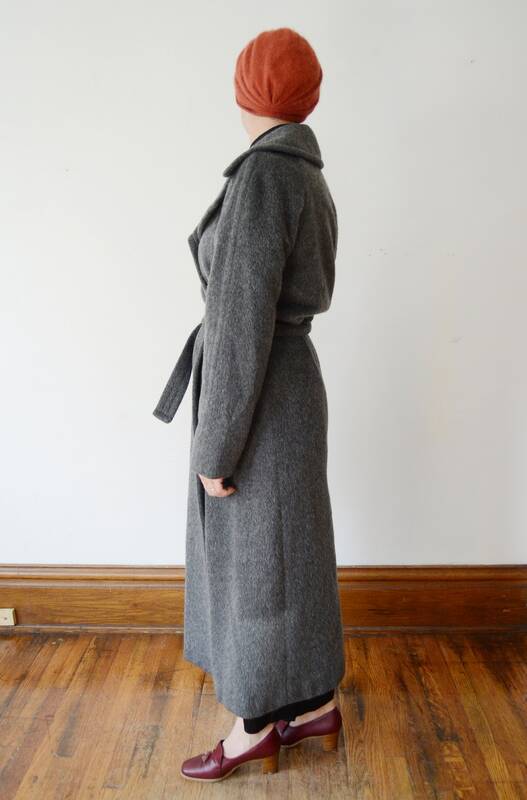 Description: Soft dark grey wool wrap coat with a tie belt. 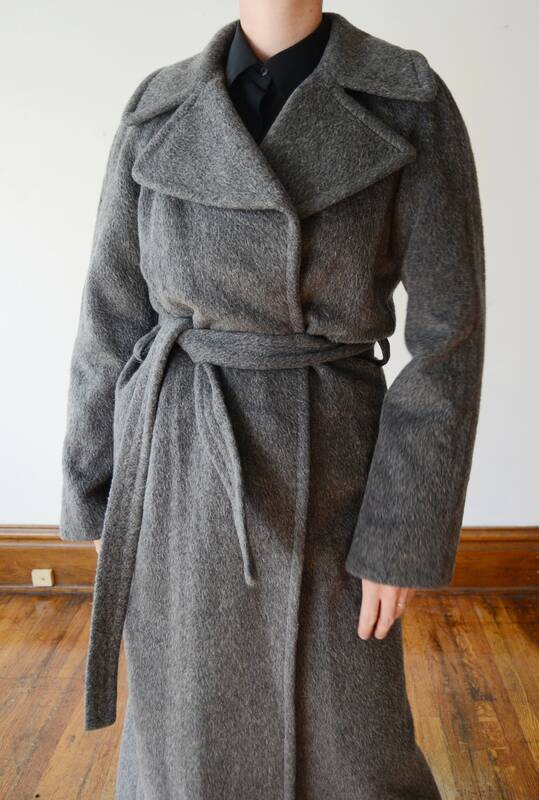 Coat is lined. Measurements of garment, allow space for fit. I take my measurements flat, and double for circumference. MI residents are charged 6% sales tax. - Domestic packages are shipped through the USPS, with tracking. They will be mailed out within 2-5 business days. - International packages are shipped first class. Please allow 2 - 5 weeks for delivery, or you may select priority mail at checkout for faster arrival. - Buyers are responsible for customs, and any other fees associated with delivery of their package to international countries. I can NOT mark your item as "gift" on the customs form, or alter the value. -Any package returned to me due to an incorrect address will result in new shipping charges. - RETURNS are for store credit only and should be made within 7 days of receiving the item. The garment/item must be returned in the exact condition you received it in, otherwise the return will not be accepted. Shipping is at the buyers expense. Clearance and "as is" items are final sale. 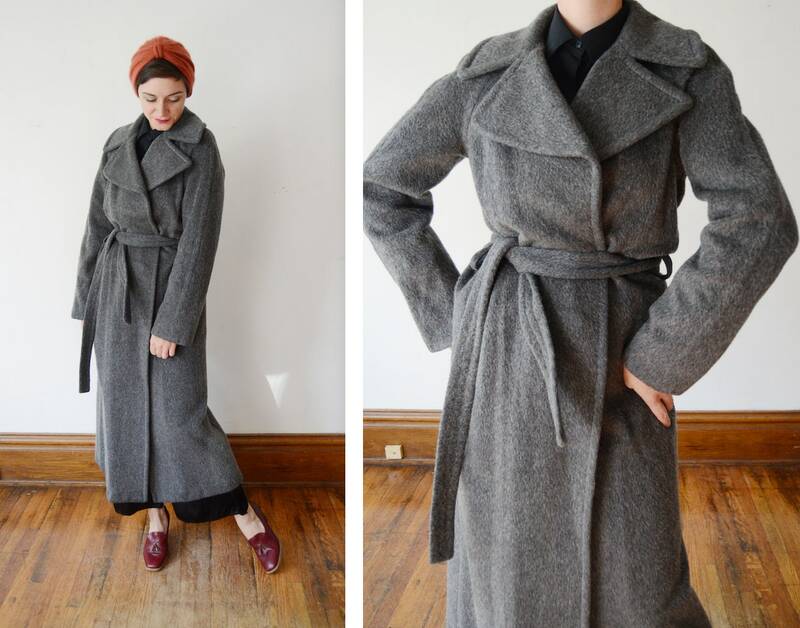 -Keep in mind that vintage clothing has some wear and tear to it. I do my best to describe the item in the exact condition that I have it in, no surprises, and note all flaws so you know what you are purchasing. But, wear from age needs to be expected, these items are not new and can't be presumed to look new. -Be sure to compare all listed measurements to your own to ensure a good fit. SIZING - Measurements are taken flat, seam-to-seam, and given in inches and noted when stretchy. Check your personal measurements before purchasing. Please allow some room for movement and compare with similar garments to ensure a good fit. Message me for any questions on sizing! I am happy to help. To fullfil your order, you must provide me with certain information (which you authorized Etsy to provide to me), such as your name, email address, postal address, payment information, and the details of the product that you’re ordering. You may also choose to provide me with additional personal information if you contact me directly. Yes! When purchasing multiple items the weight quote can be high, (especially internationally! ), feel free to contact me for a more accurate quote, otherwise shipping overages will be refunded automatically. How do you package your items? Your garment will arrive simply packaged in a plastic bag to ensure it doesn't get damaged by moisture during transport. I don't use decorative wrapping to reduce waste. Tissue is used for hats and shoes to ensure they maintain their shape.